In a mountain cave that has been lodged in darkness for eons, a lone lighted match can dislodge the darkness in an instant, just as the accumulated ignorance of ages can be dispersed by an enlightened yogi with the illuminated torch of wisdom. There are those who have been painfully dragging their bodies around all day long and want freedom from pain in their consciousness. Realization comes with a price; it is giving the time necessary to their development. These words I am bringing to you come from the teachings of a great master, a yogi from India to help us alleviate pain and suffering. The delusion of pain and suffering is the greatest curse on the soul. You might be okay today, but how do you know you will not be a victim tomorrow or some day? It is wise to try to remove its causes as long as there are any probabilities of pain or suffering in the future. The three aspects causing man’s suffering are wrong actions, delusion and mass karma. Identification of the flesh comes from delusion. From the earliest stages of life the little child imagines that he and his body are one. See him cry when you pinch him, then soothe his hand and observe how he likes it. By pampering the body, bodily identification increases. When you love your body too much, you become overly vulnerable and sensitive making yourself suffer any time your body is uncomfortable. Because you have been taught to suffer you depend to much on bodily comfort for pleasure. The need for all types of comforts is the main cause of pain. That is why we are told by the wise men and saints not to be attached to anything that causes you to be unhappy or dissatisfied due to its absence. When bland or plain food is offered, don’t yearn for your preferred dishes. One must become divinely indifferent. For example, if you drop on the floor a wonderful plate of food you were going to eat, how should you react? You can spend a lot of time cleaning something but if you accidentally drop it in the mud you might start laughing. When you can have that kind of detachment you will become more pain free. Be more detached. The link between your bodily suffering and you is simply mental. Our consciousness of pain is mental or physical and is born of feeling and ego. The truth is that if you teach yourself to live in the body without thinking of it as yourself you will have far less suffering. When you go to sleep at night after a hard days work and your body is sore and you are dead tired, you fall asleep into unconsciousness yet your body feels no pain. It’s the same as going to the dentist to fill a cavity. When you are given an anesthetic to kill the pain, you have disconnected your mind from the sensation of pain. However, being hurt in a dream is the imagination of pain and being hit by a blunt instrument is the feeling of pain. Physical pain is caused by feeling coming from a sensation and imaginary pain is born of imagination. The two of them are formed in the mind. Dreaming of pain hurts us mentally in the same degree as physical pain hurts us in the awakened state. That is why a detached mind does not feel any pain and that is why sleep is a blessing. What ever your troubles are it does not matter because when you are sleeping you are free from them. You must learn during your waking hours how to be consciously free. You can’t know the sweetness of sugar if you haven’t tasted it; if you have not used the total capability of the mind, you can not grasp its astonishing power. Mental power is the best anesthesia against pain. You will see that the pain will be significantly lessened if the mind refuses to recognize it. If you become tough within you will develop more strength of mind. When pain comes say to yourself, “it doesn’t bother me,” just care for it, but don’t suffer from it. Remember, the more you care for and love your body and are excessively concerned about it, the less power the mind will have to redeem itself. Your imagination heightens your suffering and feeling sorry for yourself or worrying won’t lessen your pain but greatly increases it. Some people let themselves be swung back and forth by the pendulum of emotion and moods. It is very difficult for those who allow themselves to be swung backward and forward with these emotions to understand the steadfastness of those who are even-minded and in a state of mental poise. There are some people in whom feeling is prevalent and therefore suffer more either in the cold or hot weather where even-minded mentalities do not. Pain and pleasure are the results of an extended and continuous psychological habit. Physical pleasure or pain are both accompanied by sensations from the body but are not caused from these sensations. They are formed by belief and feeling and psychological habits originate from hereditary and environmental effects and are transmitted from generation to generation. Mankind has been bequeathed the mentality of pain from erring ancestors. Just as our older civilizations thought the world to be flat, modern man inherited a belief in pain from his predecessors. Unfortunately they were not educated in psychology as to the development of the psychological illness of belief in pain. The mother of all mental sorrow and pain originates for sensitiveness. Unpleasant sensations that are physical in nature are for example stepping on a nail which causes the belief of being painful and it is the same as an unpleasant thought of the death of a loved one or the loss of an important possession, it causes sadness. Mental sorrows can give more misery than agonizing physical sensations. Instead of getting excited be impartial for identification or sympathy causes pain. The mentally sensitive are always worried by suggestions of a cold night or a hot day. 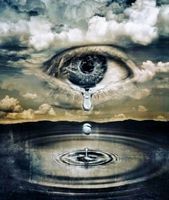 To sympathize or acknowledge the sorrow-making sensitiveness in anyone is wrong because it amplifies the illusion of misery and pain deceiving the mind and senses. The yogi masters tell us it is written in the Gita that in place of giving into the impulses of heat and cold, we can by mental control be trained to endure them gradually, like using less heat and not being frightened of the out-of-doors. Our bodies and minds should be made pain-proof. Those who want to expand their consciousness must learn the art of remaining even-minded while observing their mental and physical changes and should try to practice the technique of “titiksha” (endurance) that is practiced by the yogi masters. Even a little practice of this art can help strengthen your mind. Now watch and analyze yourself whenever you are feeling the following: When you experience extreme cold, a fever, extreme heat or a miserable head cold focus on the nasal passages; when experiencing a sad state of mind or while having a cut or a wound observe it as a lessening sensation but do not try to disregard it; when you are feeling very happy possessing something that was longed for, try to remain totally impartial. Learning the above will teach endurance and detachment and while watching what is going on with an academic view should help you neutralize agitated sensations. The average person soon learns that the mind can not control the mind, but the yogi masters know different, that by the method of visualization, will power and imagination the yogi can soften the brightness of the senses of touch, sight, hearing, smell and taste at any time he doesn’t want to be troubled by them. In order to shut off worry, imagination and mental restlessness put these steps into practice, concentrate on one positive thought at a time, use will-power to eliminate unwanted negative thoughts, become even-minded during all conditions and change the emotions of love and hate to self-control. We must learn to observe our bodily changes academically but not with indifference. Bodily pain, like a pinprick is produced as a helpful warning sensation intended to pinpoint information to the brain that the pin pricked skin needs attention or repair. A. Pain was not designed to torture you or be your enemy but a friend to warn you of physical trouble. Do not give into the mind and allow it to be identified with your body’s pain; for it is relatively limited and short-lived, endure it. B. Pain is manufactured by your mind. C. Do not dwell on the sensations of pain, keep calm and divert your mind into absorbing thoughts or work. D. You must associate yourself with strong-willed people, so you may steal their magnetism. The company of sick people can make you sickness-conscious through wrong magnetic-vibrations, which should be conquered. Those who wish to become successful should mix with successful people; the company of successful people is a great antidote for failure. E. If you are sorrowful remember that sorrow is not conquered by more sorrow, but by joyfulness. Give all your worries to God. It is your funeral when you are worried all arranged by yourself. Don’t be buried alive by your worries. Why be miserable and die every day from your anxieties? What ever you are experiencing, ill health, sorrow, poverty, be reminded there are people on this earth suffering a thousand times more than you. Do not imagine yourself to be so ill-fated, doing that will bring sure defeat and close out the omnipresent guidance of God that is always looking to help you.